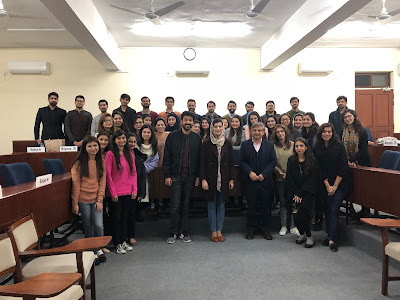 Mr. Aurangzeb Bhatti, CEO-BlockChain Enterprise Systems visited the Lahore School of Economics on Wednesday, February 27,2019 to give a lecture to the BBA IV students who are enrolled in the course of Entrepreneurship and SME Management. Mr. Haroon Waheed, CEO-SYNGRO Consulting visited The Lahore School of Economics on Monday, February 25, 2019 to deliver a lecture on Strategic Management to the outgoing BSc students. 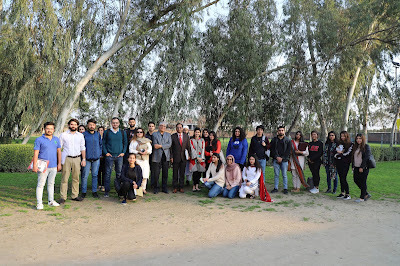 Lahore School of Economics’ Sixteenth Annual Convocation was held on 23rd February 2019. Dr. Shahid Amjad Chaudhry, Chairman and Rector Lahore School, conferred degrees and awards upon graduating students. 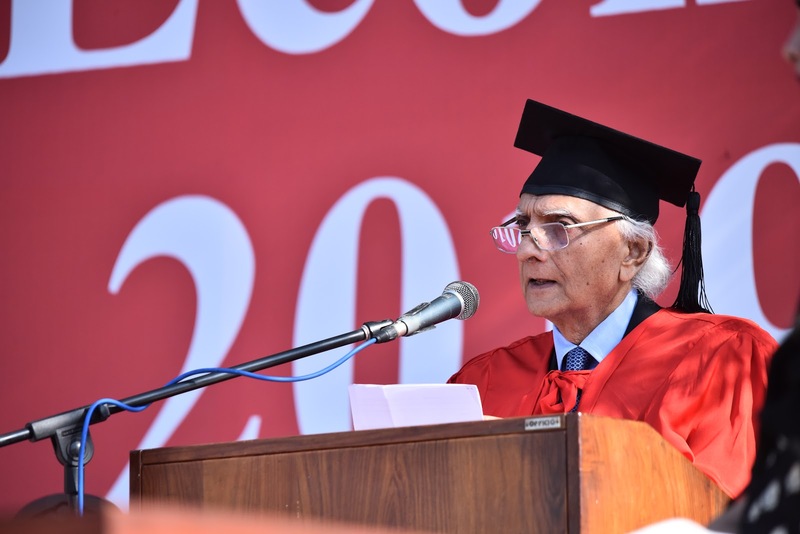 The degrees were awarded to 900 graduates of the class of 2018 comprising of 468 BBA (Hons) graduates, 90 BSc Economics (Hons) graduates, 44 BS Social Sciences (Hons) graduates, 128 MBA graduates, 115 MBA Professional graduates, 14 MPhil in Economics graduates, 7 MPhil in Environmental Sciences graduates, 8 MPhil in Business Administration graduates, 12 MPhil in Development Studies, 12 Post Graduate Diplomas and 2 PhD graduates. Ms. Abeera Baig of Coca-Cola, and alumna of our MBA program of 2015-16 paid a visit to the Lahore School on the 10th of February and delivered a session to our MBA participants on how to adjust to the new culture post-graduation in their first employing company. Abeera has been working for Coca-Cola for almost three years in Channel and Trade marketing, and now in Route to Market (RTM). 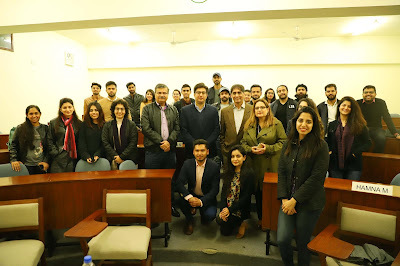 She explained why the MTO programs are so important for the MBA graduates, as even though these are contractual in nature, one gets to meet the leadership of the company, and learn from various departments. 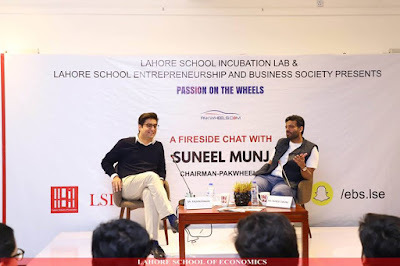 Lahore School Incubation Lab in collaboration with the Lahore School Entrepreneurship and Business Society hosted a fireside chat with Suneel Munj on Thursday, February 21, 2019. Mr. Munj is the current Chairman and Co-Founder of PakWheels – a successful auto-traders in Pakistan. Mr. Faizan Khalid, Head of the Lahore School Incubation Lab opened the discussion and moderated the whole talk. The focus of the conversation was about passion, and how it could be turned into a business. 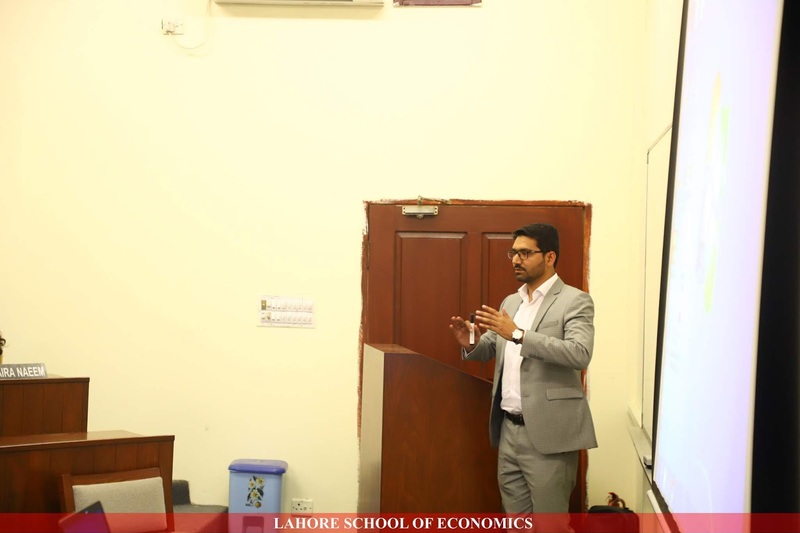 Mr. Munj talked about his personal struggles in business. His intense passion for cars, dedication and hard work pushed him forward to become a successful entrepreneur. He said that any one could go and start a business, but a real entrepreneur must know the art of problem solving. He said that when you solve a problem for people you gain loyal customers, as well as self-satisfaction and sense of achievement. 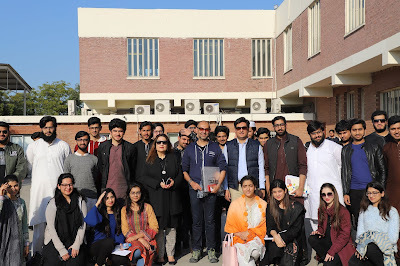 Mr. Qasif Shahid CEO-Finja visited the Lahore School of Economics on Friday, February 22, 2019 to deliver a lecture to the BBA-IV students who are enrolled in the course of Entrepreneurship and SME Management. 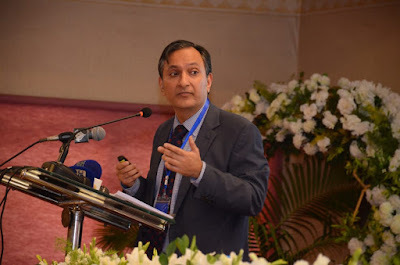 Dr. Azam Chaudhry, Dean and Professor, Faculty of Economics gave the keynote speech on ‘Taxation and Development’ at the International Conference on Taxation hosted by the Federal Bureau of Revenue in Lahore on February 6th-8th, 2019. 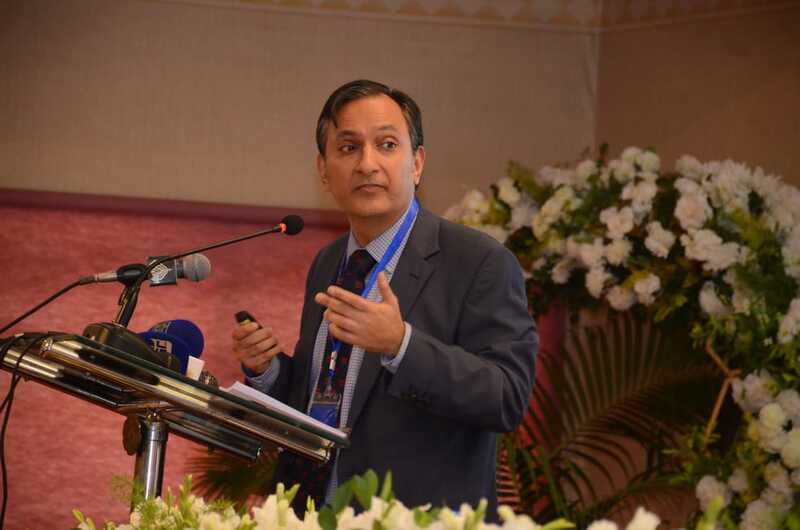 Dr. Chaudhry spoke about the role of taxation in development and analyzed the historical tax trends across countries. 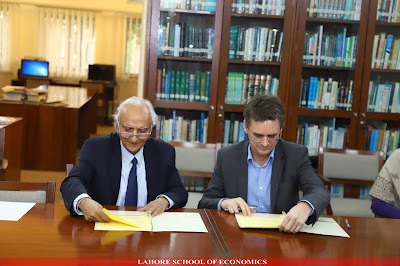 He also gave policy prescriptions for the optimal taxation structure for Pakistan given cross-country evidence. 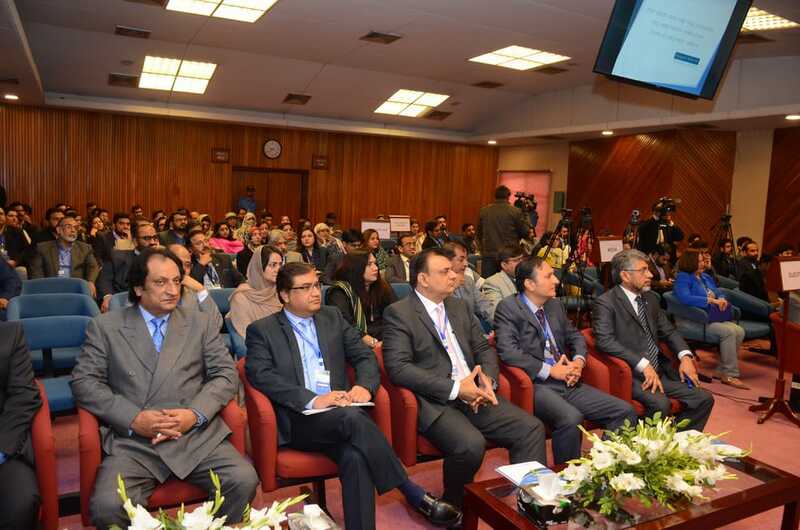 The conference provided a forum for national and international academics and experts to deliberate on issues of taxation in Pakistan in an increasingly integrated global system. 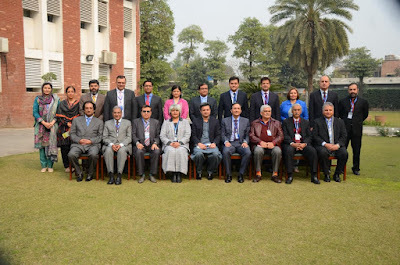 It focused on international taxation issues of cross border trade, services, investment and exchange of information. 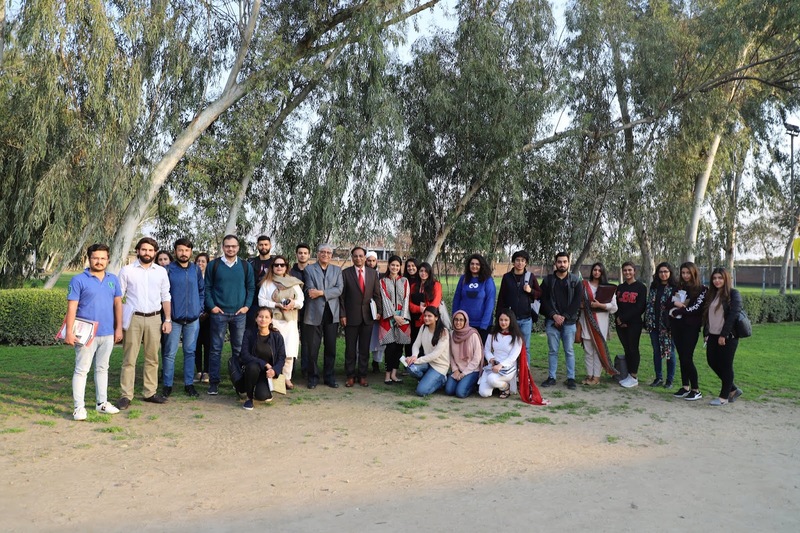 The chief guest at the event was Mr. Muhammad Hammad Azhar, Minister of State for Revenue, Government of Pakistan and the participants included international and Pakistani experts and academics. The conference was held at the Directorate of Training and Research Inland Revenue (DGTR), Lahore. 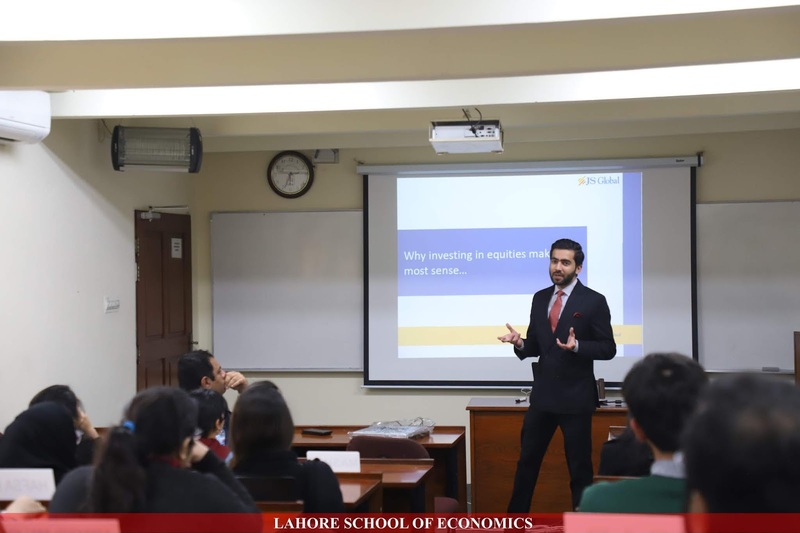 Mr. Tahir Saeed, Head of Research - ABL Asset Management Company visited The Lahore School of Economics on Monday, February 18,2019 to give lecture to the students of BBA III who are enrolled in the course of Investments. Mr. Shawaiz Khan visited the Lahore School of Economics to give a lecture to the BBA students who are enrolled in the course of Investments on February 15, 2019. 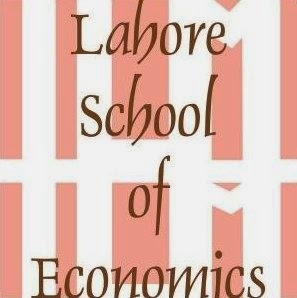 "The best is the enemy of the good” — a saying Pakistan’s pre-eminent economist, Dr Mahbubul Haq, often repeated. 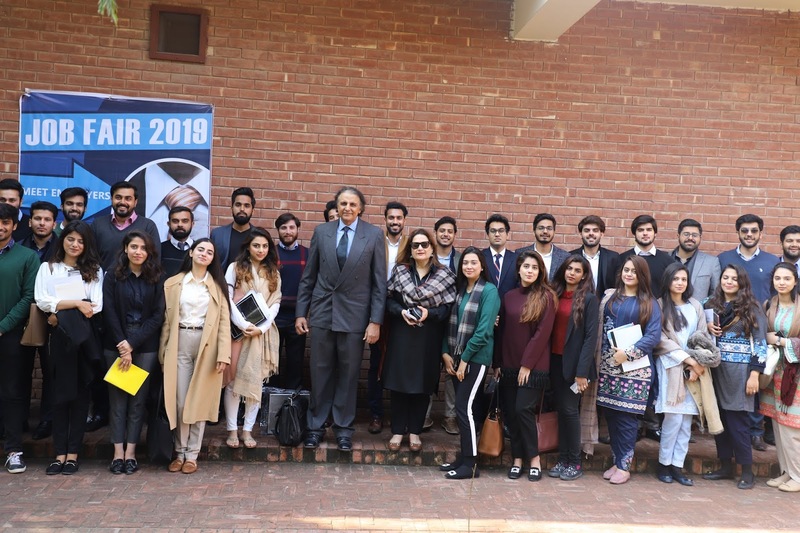 As Pakistan and the International Monetary Fund (IMF) move closer to signing an agreement for a three-year programme, both would do well to heed this practical advice. 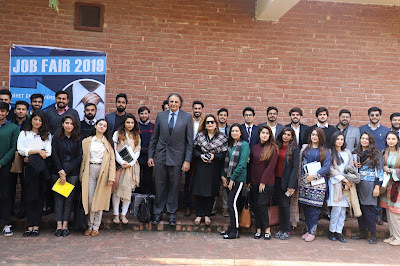 Currently, the remaining points of contention are more regarding the pace and sequencing of short-term stabilisation measures, and not the fundamental reforms that need to be undertaken, on which there is broad agreement. 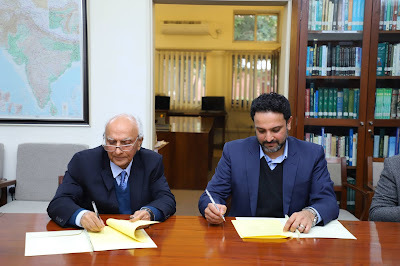 The Lahore School of Economics signed a Memorandum of Understanding with METRO-Habib Cash & Carry Pakistan (Pvt) Limited on Thursday, February 07,2019 at Barki Campus as a part of Industry Academia linkages. 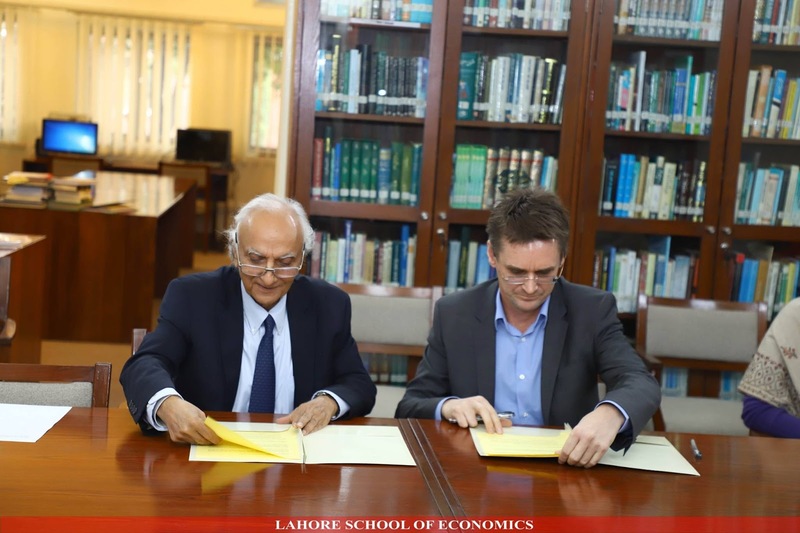 Dr Shahid Amjad Chaudhry, Rector Lahore School and Marek Mickiewicz, Managing Director METRO-Habib Cash & Carry Pakistan signed the MoU. The main purpose of signing an MoU with METRO-Habib Cash & Carry Pakistan is to pursue the goal of strengthening Industry/Academia linkages. The Lahore School of Economics signed a Memorandum of Understanding with FINCA Microfinance Bank Limited on Wednesday, January 30, 2019 at Barki Campus as a part of Industry Academia linkages. The main purpose of signing MoU with FINCA Microfinance Bank is to pursue the goal of strengthening Industry/Academia linkages.